From Jurriaan in Amsterdam. 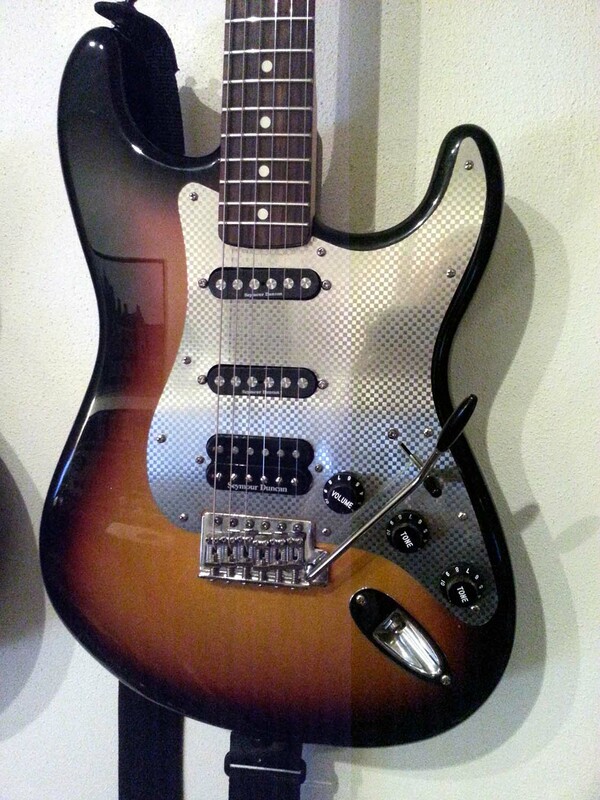 - Mozaic Strat HSS pickguard on a beautiful 2-Color Sunburst. Fresh after some caring restoration and tastefull mods, Jurriaan has ended with an impressive Strat. Adding all Seymour Duncan pickups, including Quarter Pound SSL-4 neck and mid. New black knobs and toggle, trem tips gets a smart co-ordination happening. Cheers for the great pics friand, time to make it sing.